Super Smash Bros Ultimate brings the long-running fighting game franchise to Nintendo Switch. It isn’t holding back on content either, with every single Smash character making a return. There are new characters too, and even more planned for DLC. And with all of these fighters, we knew it would be good to write Character guides on each. In this Super Smash Bros Ultimate Corrin Guide, we’ll outline the changes that have been made since their last appearance. We’ll also be taking a look at the Final Smash, and the Alternate Costumes that players can choose from. 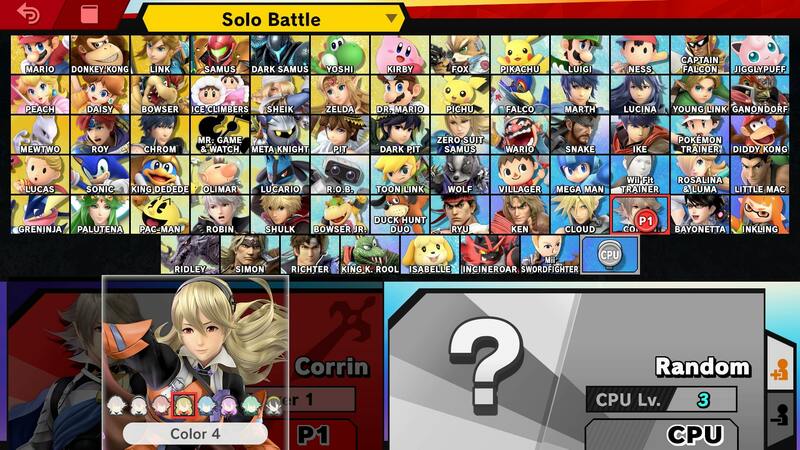 Corrin is back for Super Smash Bros Ultimate, having last appeared in SSB4 for Wii U and 3DS. She’s a formidable fighter, and is available in both male and female forms. She was originally introduced via DLC, but will be an unlockable character this time around. We’ve listed everything you need to know in the following guide. Corrin can actually transform into a dragon in Super Smash Bros. Ultimate, if you can use his Final Smash move. In the table below, you can find a list of all the moves that Corrin can use. There have been several key changes to Corrin for Super Smash Bros Ultimate. This encompasses animations, taunts and changes to moveset. We’ve listed all of the changes that we’ve noticed below. Several animations have been changed including victory, Forward Smash, Neutral Attack, Counter Surge. Double jump is not as high. 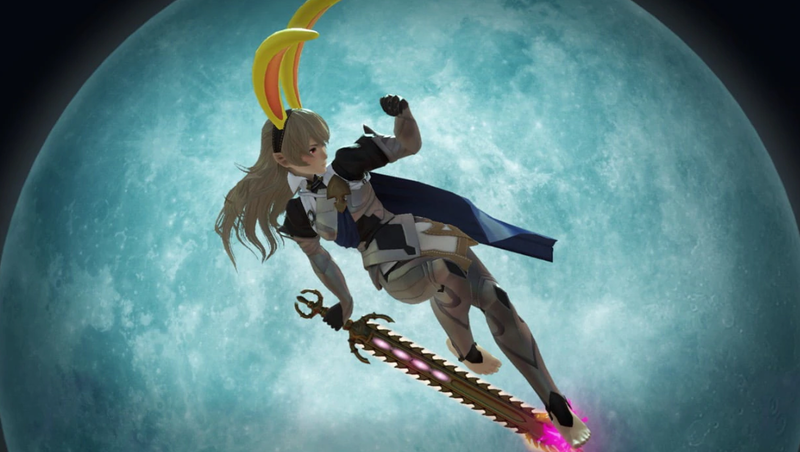 Corrin has Alternate Costumes for both male and female forms. For the male form, there are pink, blue and green variants. For the female form, there are orange, pink and black variants. You can check out some screenshots embedded in this guide. Corrin’s Final Smash in Super Smash Bros Ultimate is Torrential Roar. It’s a devastating attack which sees Corrin transform into dragon form, before firing two huge beams of light. You can check out Torrential Roar in the video embedded above. 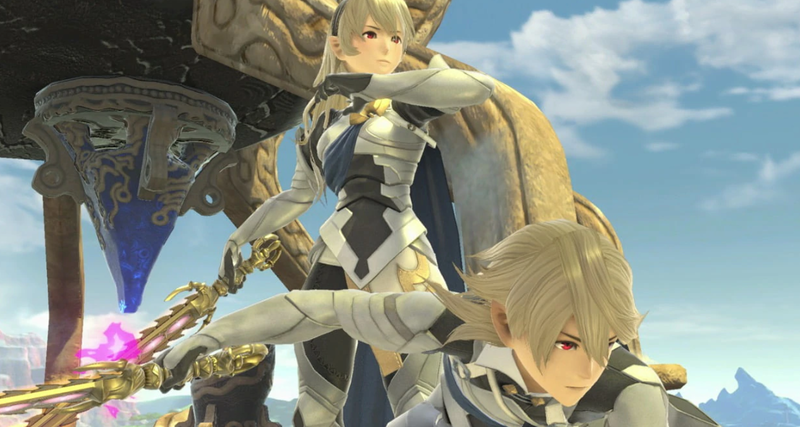 That’s everything we know about Corrin in Super Smash Bros. Ultimate. We’ll be updating this guide and other character guides as we get more info, so be sure to check back in regularly. For more on the game, head over to our Super Smash Bros Ultimate Guides hub. It’s got stages, trailers, details on amiibo, and more.